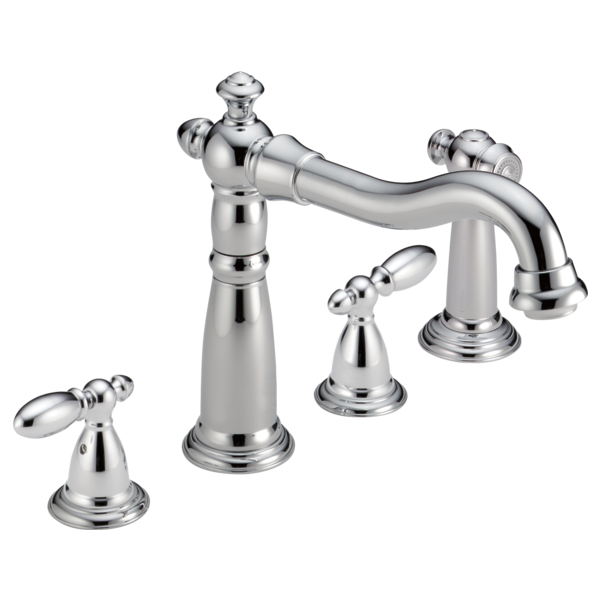 The Victorian Bath Collection adds an impressive element of distinction - and a touch of old-world charm - to any bath. H2Okinetic Showers give you the feeling of more water without using more water and create a shower with more warmth, coverage and intensity. Make sure your family doesn’t experience a sudden and possibly unsafe change in water temperature with a TempAssure or Monitor Valve. Temp2O Technology uses a digital display to show the temperature of the water flowing from your shower head or tub spout. By integrating separate controls on one trim, we’ve streamlined installation and your shower style. Once the Delta MultiChoice Integrated Shower Diverter is installed, you can upgrade style and functionality any time. Installing a Delta MultiChoice Universal Valve makes it faster, easier and less expensive to upgrade style, finish and functionality later. Get water where you need it most: Use the integrated shower head and hand shower separately or together to maximize flexibility without sacrificing warmth.